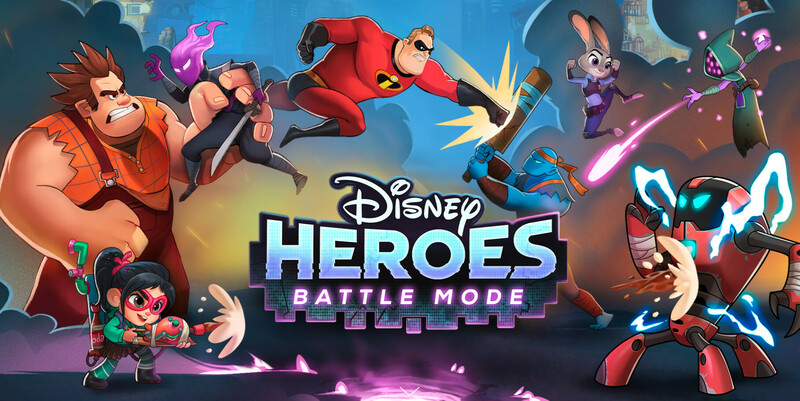 Disney and developer PerBlue recently launched a brand new RPG (role-playing game), Disney Heroes: Battle Mode, which promises to bring together Disney and Pixar characters in an all-new experience. The game is available worldwide via App Store and Google Play, and while you won't have to pay anything to download and play it on your phone, it's fully packed with in-app purchases. At launch, Disney Heroes: Battle Mode features 25 Disney and Pixar heroes that players can collect, but more will be added to the game in the coming weeks. Characters from The Incredibles and Toy Story, as well as Disney's Pirates of the Caribbean characters, are among the heroes that players can collect while playing the game. In Disney Heroes: Battle Mode, players can team up Disney and Pixar characters to battle together to earn exclusive bonuses. Each hero has unique skills, but they can also be geared up with various equipment, as well as leveled up to become even more powerful. As mentioned earlier, Disney Heroes: Battle Mode can be played for free, but you'll have to use virtual currency, which can be acquired as you progress through the game or by paying with real money.